The landscape beds and plant material are minimal and in poor condition. The project proposes to improve the play qualities of the park and provide for a more enhanced park setting. Included in the improvements is an Art in Public Places art component that will welcome visitors to the park site. 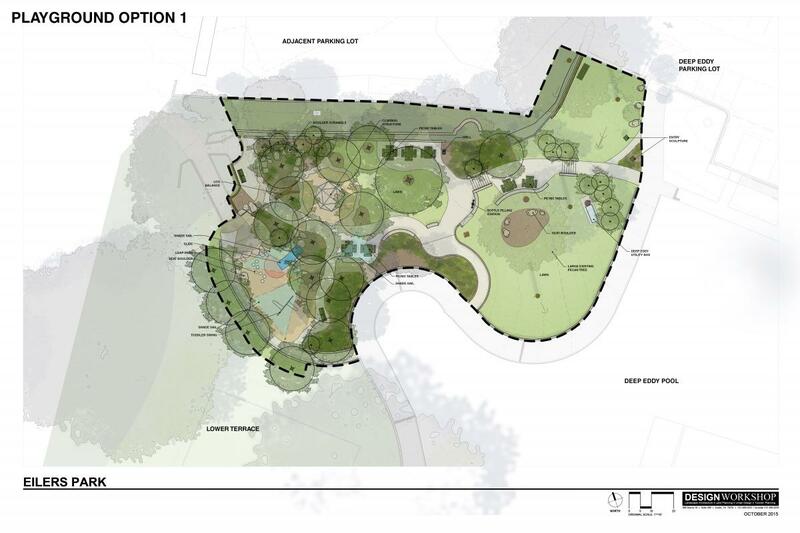 The improvements will include new park signage, accessible drinking fountain, benches, picnic areas with tables, trash receptacles, ADA compliant walkways and ramp and an updated play structure integrated into the landscape that provides nature based play opportunities. In addition to integrated amenities such as retaining walls, seat walls and landscape beds, the design will also enhance the existing circulation routes from the adjacent community and activities. When completed, Eilers Park will boast a nature based play element, a toddler swing set, new picnic tables, a climbing play element and new vibrant landscape. Also included will be a premier Art in Public Places sculptural element that will greet visitors at the entrance to the park site. On April 12, 2018, the Austin City Council approved the construction award bid to ASD Consultants, Inc., as the successful bidder for the improvements at Eilers Park. With assistance from the Capital Contracting Office (CCO), PARD issued the Notice to Proceed (NTP) for ASD Consultants on August 28, 2018 to begin work on the park improvements. Construction was schedule to be completed in April 2019, but due to delays in project management, completion is projected in May 2019. Work is funded through the 2012 Capital Improvement Bond. Work accomplished has included demolition of the existing playground and amenities on site. 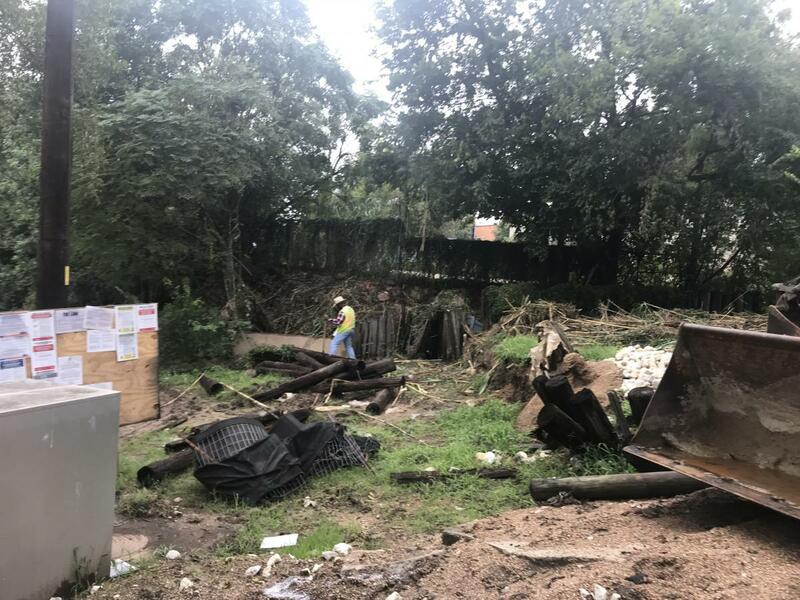 Currently, the City Watershed Field Operations have cleared the existing storm drain running underneath the park and assessed its condition. This is due to a break discovered during the demolition phase. PARD and Design team will review the assessment and provide a modification to the plans on correcting the drainage issue.